Poverty In America Is Affecting 14.1 Million Children – Who Are They? When you shine a light on where poverty in America has the strongest grip on children’s lives, it’s most often in our wide open spaces. From the hills and hollers of Appalachia in the east, to the Deep South, all the way to California’s distressed Central Valley and beyond, children are more likely to experience childhood ender events related to poverty. Rural child poverty1 in the United States is a subject that is rarely discussed in today’s national conversation, but given the findings of the new research in Save the Children’s 2018 End of Childhood Report – and Index, it should be. How is Rural Child Poverty in the U.S. Defined? According to this first-of-its-kind analysis of rural child poverty rates across America, rural child poverty is much more pervasive than one might think. Poverty affects more than one billion children worldwide, including millions in the U.S. And while most Americans think child poverty is only an urban issue, child poverty rates are higher in rural areas. Nearly 1 in 4 rural children grow up in poverty. What Percent of Children Live Below the Poverty Line? Scarcity of jobs, geographic isolation and lack of transportation often pose greater earnings challenges for rural parents than urban parents.5 Rural parents also tend to have less education and a higher incidence of underemployment, which places their children at higher risk for poverty. In rural America, half of all children living with single mothers are impoverished (51.5%) as compared to 11.9% of rural children in married-couple families. This means that children of single mothers in rural areas are four times as likely to live in poverty as their peers with both parents at home. Research has linked child poverty in rural areas to low levels of well-being during both childhood and adulthood, encompassing poor educational, economic, behavioral and health outcomes. 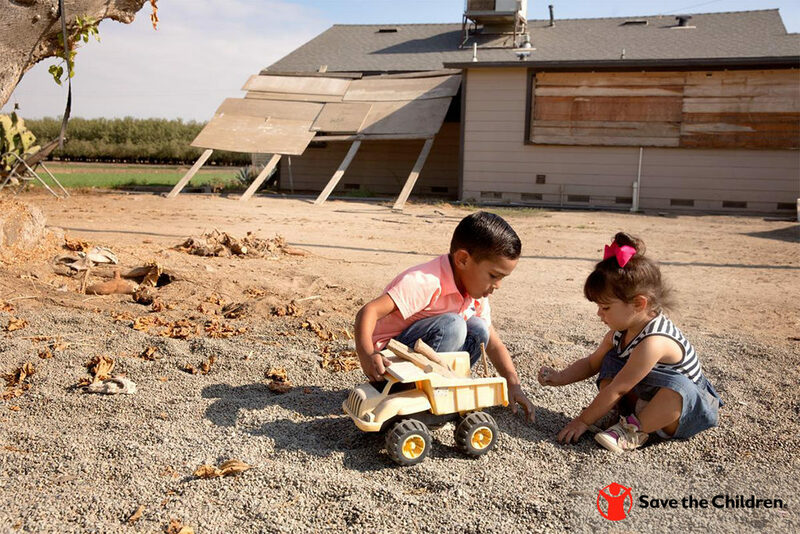 To learn more about how Save the Children helps America’s hardest-to-reach children, and how you can help children in America, visit us at www.savethechildren.org/usa.